If you’ve stumbled across this list because either you, or a loved one, absolutely love adorable cat stuffed animals, then we can only suggest you carry on reading as you’ll be sure to find a whole litter of kitty plushies you’ll want to adopt. Grab a snack, get ‘comfurtable’, and take a read. 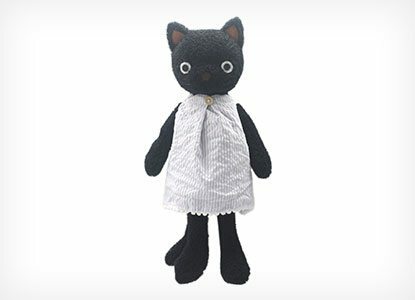 With this cool DIY you can learn just how to make your own Black Cat Plush out of some (clean, of course) socks, good ol’ needle and thread, and some other bits and pieces you’ll definitely have laying around if you’ve dabbled with a sewing hobby before. Make your own fluffy and adorable sock cat by following this helpful DIY video over on Innova Crafts. You just need to pick out your chosen sock, and follow the easy instructions shown on the video. We’re sure once you make your first kitty you’ll be hooked and you’ll have your own litter in no time! Earlier on in the list you saw the sweet Pusheen plush that was enjoying a rather yummy looking ice-cream. Well, with this awesome DIY by Claire Sophia on YouTube you can find out how to make your own awesome GIANT Kawaii Pusheen plush, a purrfect addition to any bedroom.